Some doctors use printers to produce patient records or referrals. 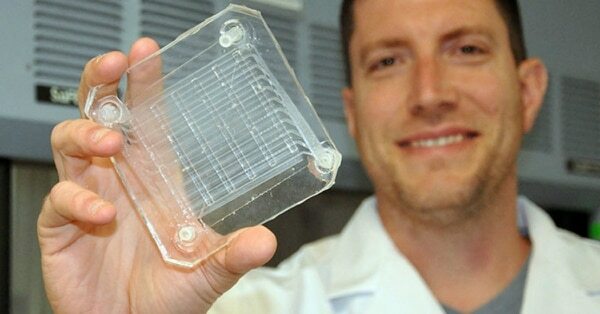 Others use them to replicate human organs. That’s what Dr. Beth Ripley is doing at the VA Puget Sound Health Care System in Washington. Granted, replicas are more plastic than tissue and don’t function like the real thing — at least not yet. But in a growing number of VA hospitals using 3D printing technology, life-size replicas of human anatomy are helping surgeons cut down on operating times by as much as two hours, lowering costs and potentially helping patients heal faster. 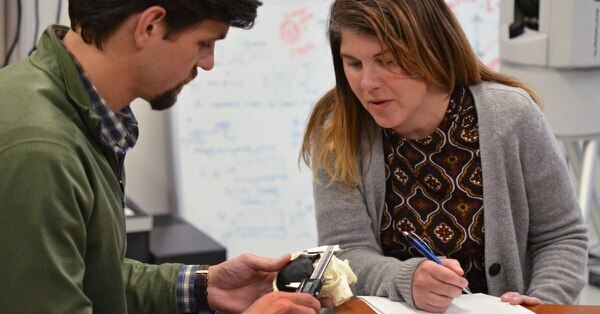 “One of the magical things about 3D printing … is that you can create these really complex structures that you could never make using traditional manufacturing,” said Ripley, who chairs the VA’s Veterans Health Administration 3D Printing Advisory Committee. Radiologists like her can take a CT scan of a veteran’s heart, for example, then print a nearly exact copy of its faulty valve in anywhere from 30 minutes to 30 hours for the surgeons to study. The same goes for tumorous kidneys or pelvises. “[Surgeons] can look at it and figure out exactly what their plan is before they ever go into the surgery,” said Ripley. 3D printing capability started in three of the VA’s 172 hospitals in 2017 and has since grown to 20, with 10 more health care facilities working on implementation, according to the VA. In some hospitals, 3D printers are also being used to make special surgical tools and orthotic devices that enhance mobility for veterans with physical limitations and disabilities. These “MacGyvers of medicine,” as Ripley calls them, allow patients to return to everyday hobbies, such as ice skating or playing pool, she said. Last month, the VA announced researchers are also collaborating on a three-year project to create a bioprinting program using 3D printers to make replacement tissues customized to individual patients. This would reduce the need for grafting surgeries, among other things. Prosthetic limbs are also in the research-and-development stage, as are artificial lungs. The devices cost anywhere from $1,500 to $400,000, she said. But their impact is difficult to put a price tag on. Shorter surgery times cut down on operating room costs and also time spent under anesthesia, which can help patients recover faster, she said. 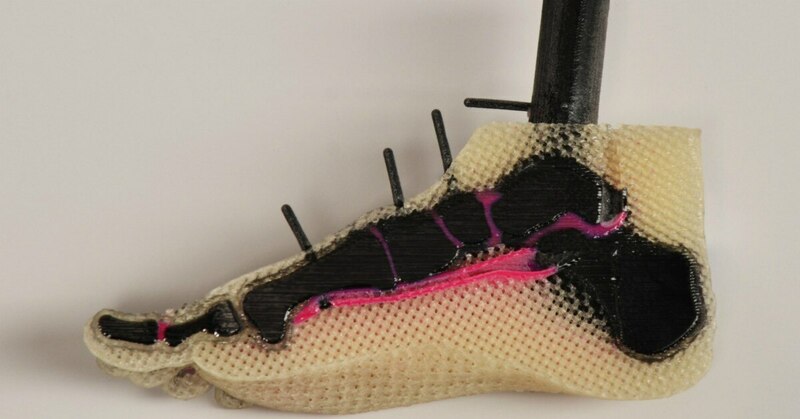 And in hospitals where 3D printers are being used to make orthotics, such as braces, veterans just have to go to the hospital once for a fitting. If a replacement is needed, the hospital hits print and drops it in the mail, saving the veteran another trip to the doctor’s office. “It can be very low cost and allows you to customize the design, which are huge advantages,” Potkay said of the technology. She also praised her employer for being a leader in this space and recognizing the “power of 3D printing” early on.